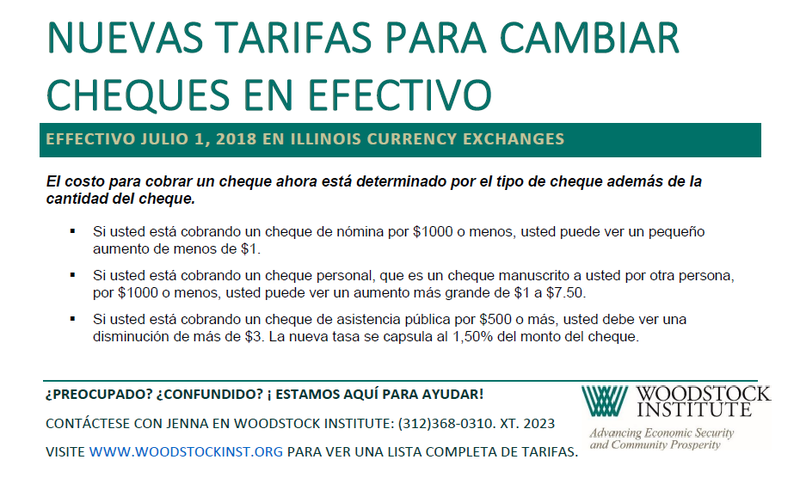 Click to view a flyer explaining the rates in English or in Spanish. The cost to cash a check is now determined by check type in addition to check amount. If you’re cashing a payroll check for $1000 or less, you may see a small increase of less than $1. If you’re cashing a personal check, which is a check handwritten to you by another person, for $1000 or less, you may see a larger increase from $1 to $7.50. If you’re cashing a public assistance check for $500 or more, you should see a decrease of more than $3. The new rate is capped at 1.50% of the amount of the check. The new rate schedule, as compared to the old rate schedule, is reflected below. Checks less than or equal to $100.00. Checks between $100.01 and $1250.00. Checks greater than or equal to $1250.0. Concerned? Confused? We’re here to help! 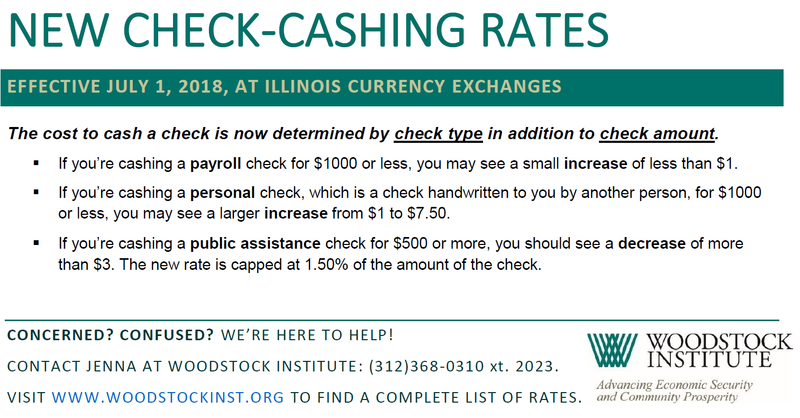 Contact Jenna at Woodstock Institute: (312)368-0310 xt. 2023.